Veterans Mark and Amy Steepe understand the physical and emotional pain that can accompany serving in the military, helping a child who is the victim of a crime, and waging a battle against a debilitating disease. The Ridgewood veterans have experienced all three. Now, they have founded a nonprofit, The Unbridled Heroes Project, as a way of helping others. For Mark Steppe, the physical and emotional pain of war was unbearable. 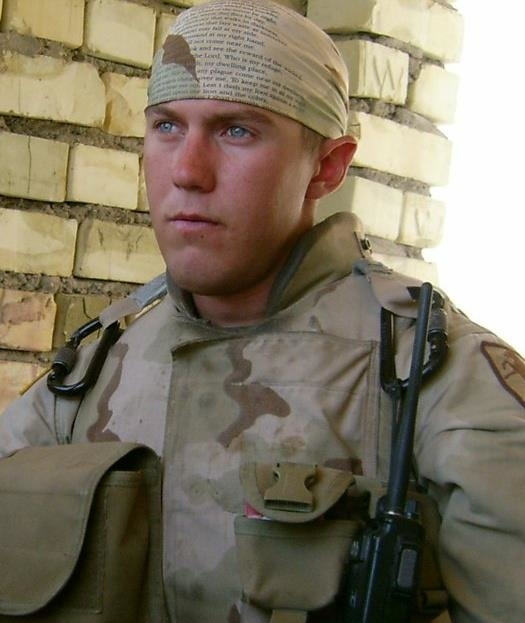 Steppe's body and soul were spent when he returned from serving in Iraq in 2006. An Army veteran, he experienced constant, extreme pain in his back, a possible result of being exposed to depleted uranium shells. His unit lost 18 men in one year. Painful flashbacks haunted him. "The war came home with him and there was nothing I could do to help," said his wife, Amy Steppe, a Marine veteran. "I would hear him cry silently at night. I could not help him heal." The U.S. Department of Veteran's Affairs refused to cover his treatment. Steppe turned to alcohol to help him. While Steppe was suffering, the family experienced other tragedies. A "vicious crime" involving their son, said Amy Steppe, who was diagnosed with a benign tumor during all of this and suffered from headaches. All of the stress put an overwhelming strain on the Steppe's marriage and they grew farther and farther apart. Then Amy Steppe started working with Phoenix, a once-wild horse that was so abused she would not let anyone touch her. 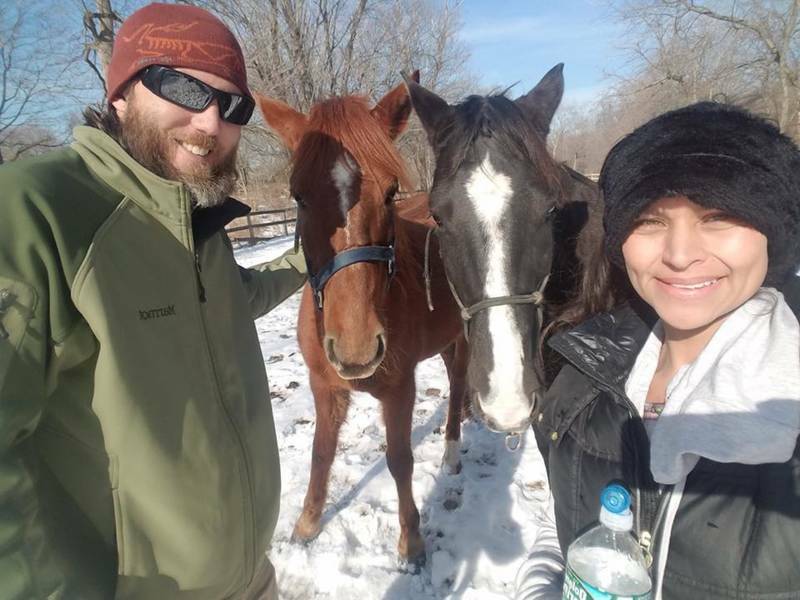 She found her through CZ Mustangs, a New Jersey-based horse rescue nonprofit that works with severely-abused horses and those set to be slaughtered. She worked with Phoenix every day and Steppe came with her. They helped out at the farm and spent time with the horses. Eventually, Amy Steppe earned Phoenix's trust. Then, Steppe started working with another horse, Saturn. And he began to change. "I started to see a light in his eyes as we interacted with these horses," said Amy Steppe. "He started working with a horse named Saturn. The four of us, Phoenix and me, and Mark and Saturn, we all began to heal. Phoenix helped me find myself again. She healed my heart. We helped one another rise." The Steppes brought their son to work with a horse as a way of helping him. And it did. "I witnessed a miracle," Amy Steepe said. The family founded The Unbridled Heroes Project as a way of helping other veterans the same way they were. The organization will rescue abused mustangs and pair them with veterans in need of healing at their Allendale facility. "We want to rescue and revive the unbridled spirit in both our rescued horses and veterans," Amy Steepe said. The organization will also advocate for mustangs and abused horses that are set to be slaughtered. The nonprofit will host a grand opening Sept. 13. "These horses do not deserve to be killed," said Amy Steppe. "They have an incredible healing power and there are a lot of veterans who need healing. We want to get them together and save all of them."